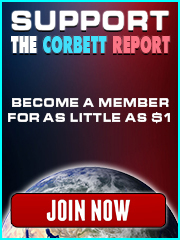 http://www.corbettreport.com/mp3/2016-08-18%20James%20Evan%20Pilato.mp3 This week on the New World Next Week: Soros gets exposed by hackers; NSA hack reveals cyber arsenal; and Guccifer 2.0 hacks with impunity. China: Menace, Accomplice or Boogeyman? This week on the New World Next Week: The Trayvon tragedy divides and distracts America; the Supreme Court mulls Obamacare; and a new World Bank puppet-in-waiting turns out to have ties to Gates and Soros. 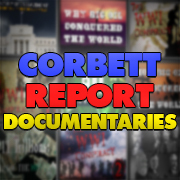 On tonight’s “Friday Night Highlights” edition of the broadcast we dip into the archives for highlights of previous Corbett Report conversations with Bob Chapman of TheInternationalForecaster.com. From the 70th anniversary of Pearl Harbor to the sordid history of Soros and the Rothschilds to reflections on the big picture of world government, Bob Chapman draws on his 50+ years of experience fighting the New World Order to inform us about the hidden history of the globalists. In this week’s conversation with The International Forecaster, Bob Chapman, we discuss the German lower house’s unanimous vote to leverage the European bailout…against the ruling of the German high court. We also tackle the issue of war for profit and analyze whether the Occupy movement is gaining or losing steam. James Corbett appears on The Alex Jones Show to discuss the protests in the Middle East and how they are part of a game being played by the globalists on the geopolitical grand chessboard. We discuss the role of protests in destabilizing Chinese interests in the region and what this means in the greater plan to establish world government. Bob Chapman of The International Forecaster joins us for our monthly conversation. This month we focus on the crises taking shape in Europe and what might be in store for the continent as the IMF vultures threaten to move into Greece and even Soros says that the European project has stalled.